Povitica or walnut bread is a little difficult treat to make, but worth the amount of time it needs. 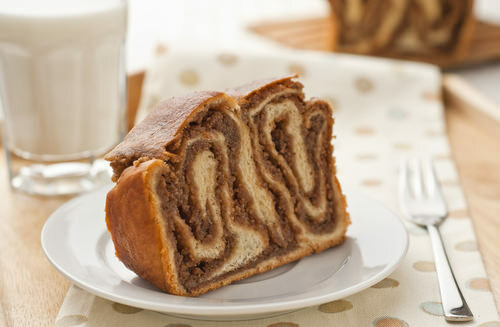 I remember a bakery near my grandmother that sold Povitica each Christmas and it was delicious. But when they disappeared and I’ve decided to make it from scratch. A hot piece of this bread with a little bit of butter goes very nice with a fresh cup of coffee any time of day.